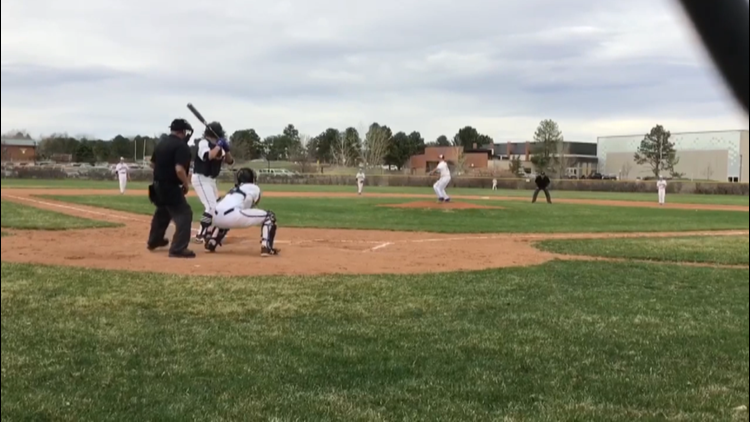 Watch the nominees for 9Preps Play of the Week, then vote for your favorite. The Sunday morning Prep Rally took a closer look at the new boys volleyball proposal in an interview with Cherry Creek School District Superintendent Scott Siegfried. 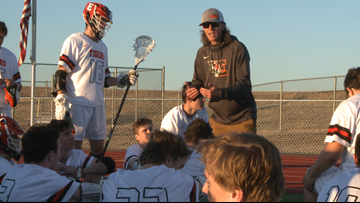 The Saturday Prep Rally features boys' and girls' lacrosse, baseball and girls' soccer highlights from around Colorado. The No. 2-ranked Jaguars and No. 3-ranked Farmers ended their key Class 4A match in a draw Thursday night. 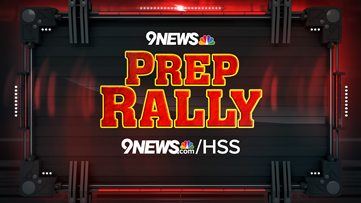 Watch the latest 9Sports Prep Rally here. 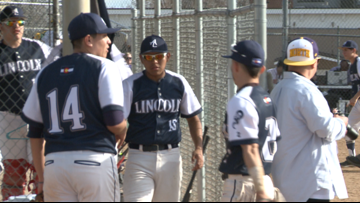 The Lancers fended off the Vikings' comeback attempt on Thursday to take a lead in the Denver Prep League standings. The No. 1 Mustangs couldn't be slowed down by the No. 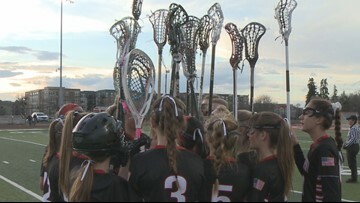 3 Angels in Wednesday night's girls lacrosse showdown. The No. 4-ranked Sun Devils won the Class 5A top-10 matchup over the No. 10 Mustangs on Tuesday. 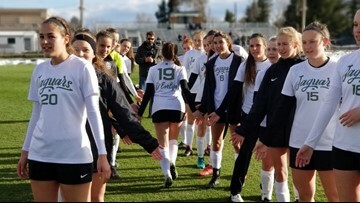 After a second half filled with goals and two golden goal overtime periods, Colorado's two top 5A girls soccer teams tie at LPS Stadium. 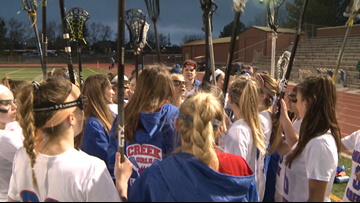 After a close first half, Cherry Creek launched into an offensive frenzy to take down Mountain Vista at Shea Stadium. 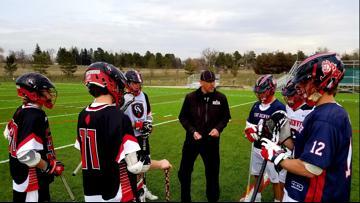 This week's Sunday morning Prep Rally features girls soccer and boys lacrosse highlights as well as a feature on the newly formed Erie boys lacrosse program. 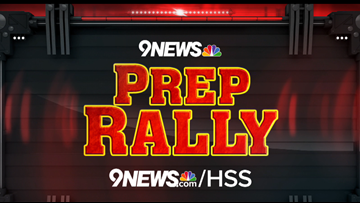 Highlights from the Saturday morning Prep Rally include lacrosse, baseball and Regis Jesuit dunking sensation, Fran Belibi. The No. 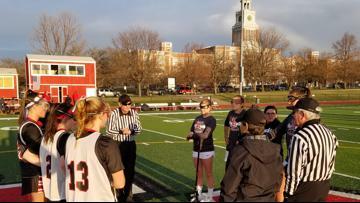 4-ranked Bruins defeated the No. 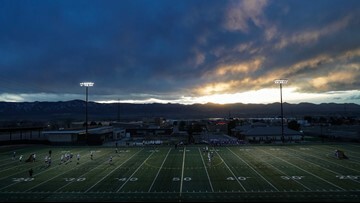 6 Wolverines in their home opener at Stutler Bowl Stadium Thursday night.